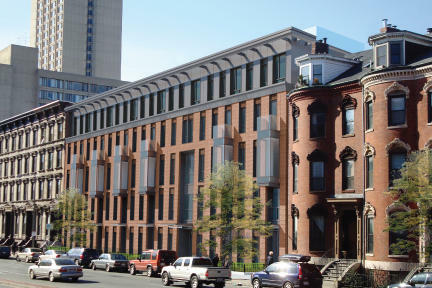 Beautiful luxury development on Massachusetts Ave in Boston's South End. Units vary from loft studios to one and two bedroom condos to luxury penthouses. Stunning direct views Back Bay, South End, and city skyline. 691 Massachusetts Ave building offers daily concierge services, access to a common roof deck and beautifully landscaped private garden. All units have bamboo hardwood floors, stainless steel appliances, washer/dryer hook-ups, most condos have private balconies overlooking the city of Boston. There is a deeded garage on-site, as well as outside parking spaces. Great location! close to restaurants, shopping and public transportation. Contact us to find out more about these condos at 691 Massachusetts Avenue in Boston.